Lightweight and compact, the Stiga SHP 60 hedge trimmer is the choice for home users and landscapers looking for a reliable machine. 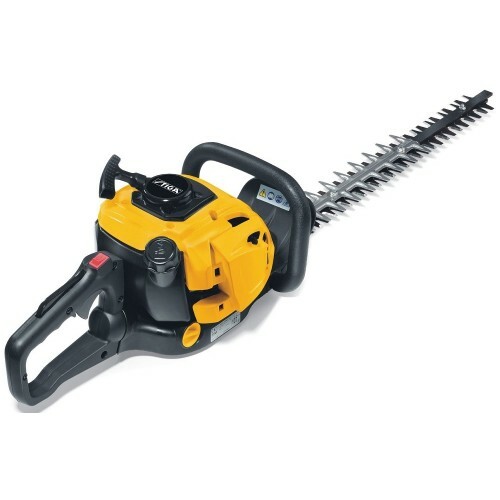 Powered by a 24.5 cc engine granting high performances and equipped with a 61 cm laser-cut dual action blade for a perfect cut. The compact structure, the anti-vibration system and the comfortable handle reduce the fatigue load on arms and hands. Rear rotating handle for the vertical and horizontal cut even of hedge tops.